Short blasts up tight, coiled-up roads that are interspersed with bundles of tires repurposed into chicanes. It might not be bumper-to-bumper or sideways enough for some motorsport fans, but with a huge variance of cars from open-wheelers to the gloriously unregulated supercars, hillclimb championships are a thriving series when it comes to diversity in the entry list. In the German championship for instance, there is also a fully supported historic class with period-correct replicas, one of which is this gorgeous Mercedes-Benz 500 SLC. Compared to some of the insane monsters that partake in uphill sprinting, this is certainly not the most jaw-dropping car you’ll see between the Armco barriers, but make no mistake, this is one very unique competitor, and it is far away from being just a road car with a roll cage inside and some stickers slapped on the bodywork. 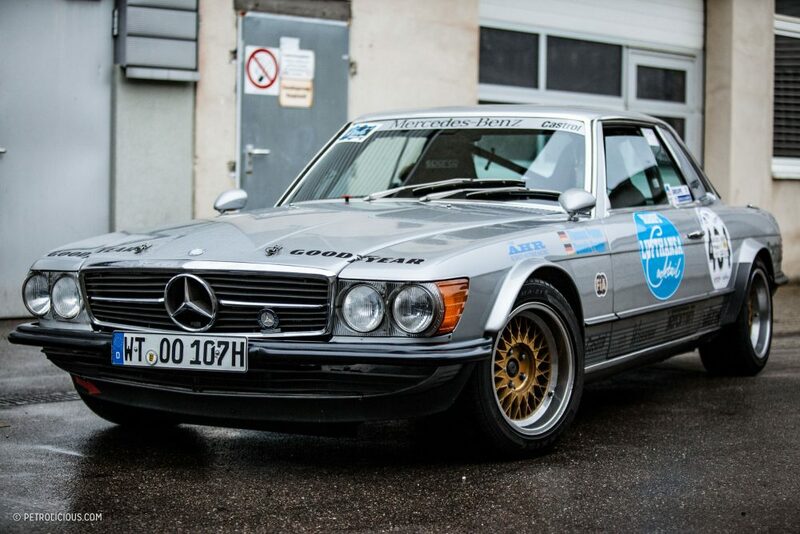 Thomas Poppe has spent a lot of effort to make this a serious Merc indeed. 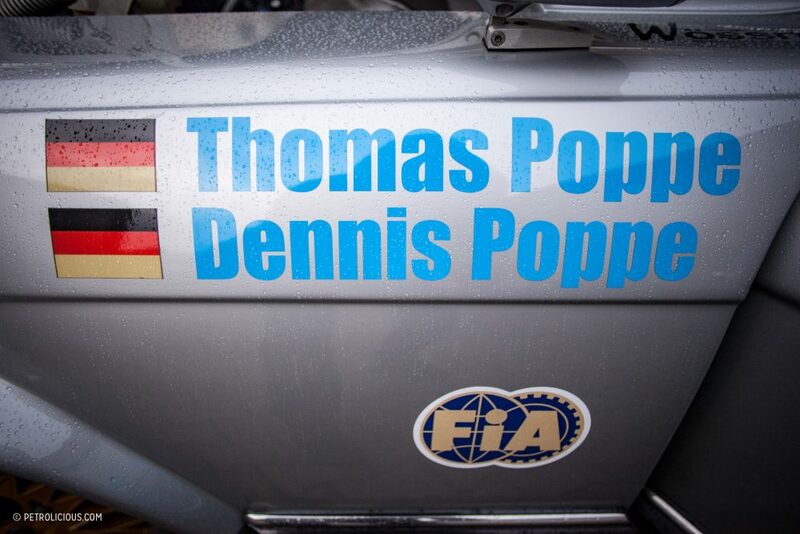 In days gone by—the ones before the financial responsibilities of a young family took precedence—Thomas used to drive a Simca Rallye, and despite starting his career rather ignominiously by crashing at the very first corner of his first race, he went on to find some success and won a couple of local championships in the early 1980s. So when the need for speed could be ignored no more later in his life, it was hillclimbing that he went back to. 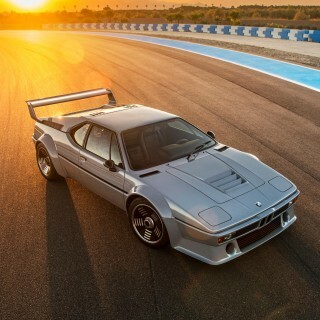 The top class is unlimited both in terms of performance and budget, so the period-correct restrictions of the Group 2 classic class is what he chose instead. 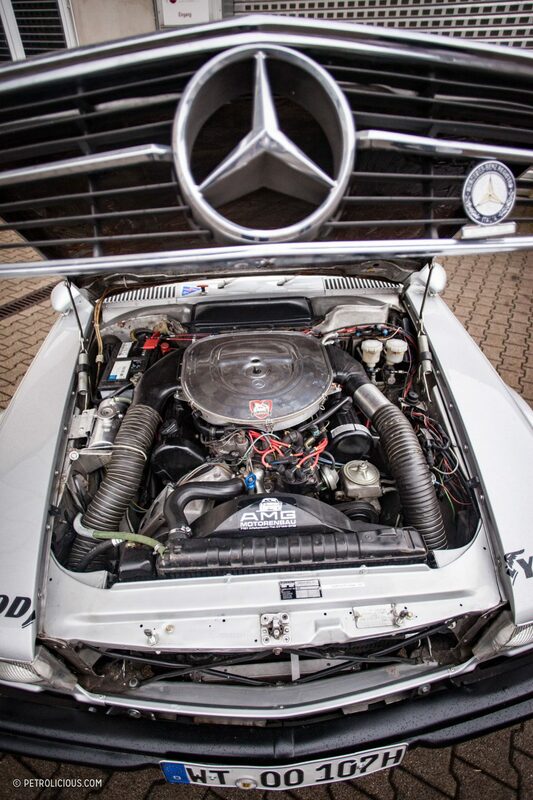 With 27 years as the director of a Mercedes-Benz dealership in his history, it was only going to be something with a three pointed star on the front when it came to his racing car. 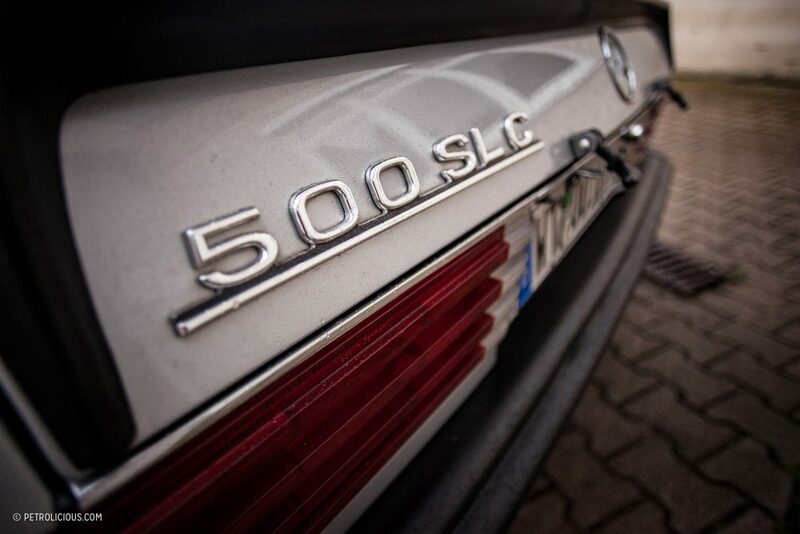 The only Group 2 model that Mercedes-Benz ever made was the 500SLC, so the 500SLC it was. It was also the only M-B to win a round of the WRC, both Hannu Mikkola and Björn Waldegård won the Ivory Coast Rally in one, an event that rivaled the Safari in terms of distance and toughness, so the big coupe has a well-deserved reputation as a fast and largely indestructible machine. 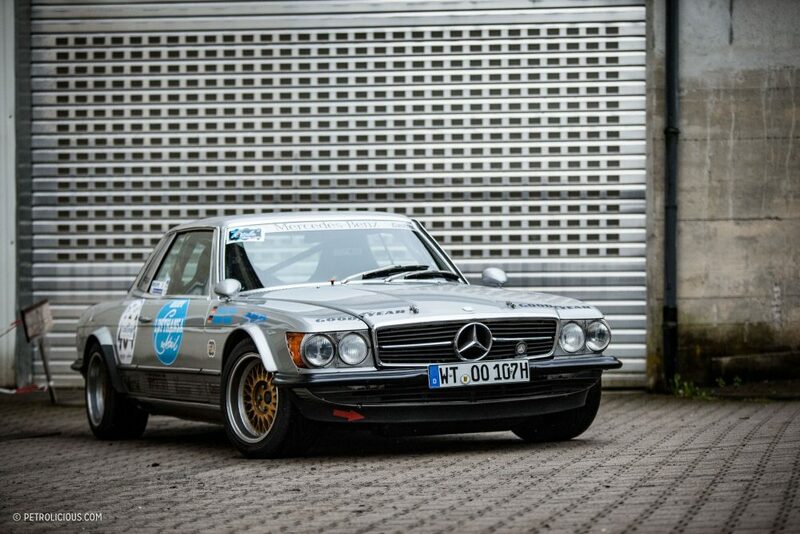 Road car versions of the SLC were also made in sufficient numbers that buying one wasn’t going to break the bank before the build even began, and Thomas found one for sale in Italy that was already prepared for rallying. Although it already had the cage, race seats, and electrics installed, it was in a very tired condition and needed a lot of work, so the first thing to do was push it into the workshop and strip it down. The rules for the hillclimb historic class are quite strict, just as they are in FIA-sanctioned classic rallying, and cars can only be modified as they were as per in-period homologation rules. The fact that Mercedes-Benz had a works rally team was quite an advantage in this regard, so Thomas started work on the two major points open to him: putting the burly 1600kg car on a diet and giving the big but lazy 5.0 V8 a heightened sense of urgency. 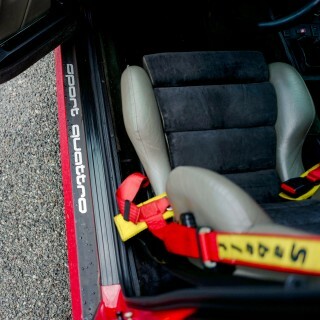 In his search for unusual performance parts, he ended up making a network of unlikely contacts. The first was a friend who he used to race against in the 1980s, someone who went on to have rather successful racing career: Roland Asch, the ex-Mercedes DTM driver. 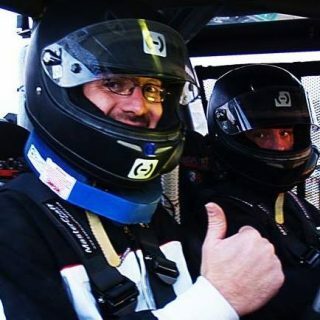 One day he was having lunch with a certain Mr. Melcher and mentioned that his friend was putting together a lightweight 500 to go hillclimbing with. That evening Mr. Melcher went home and had a look in the dusty parts bin at the back of his workshop. Out of context the name Melcher might not mean too much, but it makes up the middle letter of the much more familiar name in the world of fast cars: AMG. He found an original AMG camshaft and torque converter that were made, but never used, for the famous 1978 Le Mans car, and sent them to Thomas. The blue Lufthansa Cocktail logos on the sides are a reference to that car. Spending evenings online surfing through owner forums turned up more interesting finds. An older guy who had been a factory mechanic at the 1980 Argentina Rally had a pair of prototype heavy duty driveshafts and offered to sell them. Thomas snapped them up. 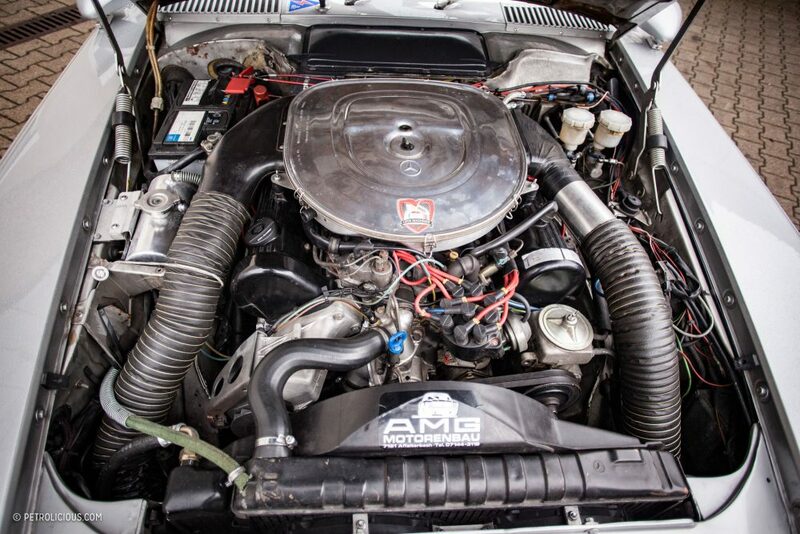 He also found out that it is possible to put a six-liter head on the five-liter block, which gives quite a few extra horsepower. These are very hard to find, but he eventually sourced one from an ex-AMG worker who had one sitting around at home; after spending a few days explaining what he was going to do with it, the guy reluctantly agreed to sell it. I ask how much it was and Thomas puts a finger to his lips. His wife was nearby. 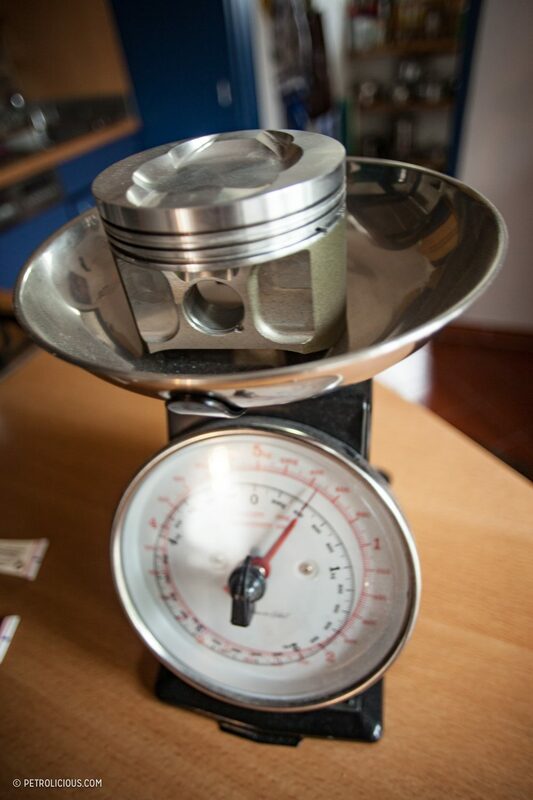 A friend who owns a piston-making factory also offered to machine a set of lightweight pistons for the build. Thomas had a couple of spares and when the coast was clear we put them on the kitchen scales for a comparison. They were half the weight of the originals. Eight of them together makes a savings of 4kg in the engine alone. The cylinder sleeves were re-done, the head was skimmed, the crankshaft balanced, the new pistons fitted, and the air intakes at the end of the inlet manifold were bored out slightly so that it mated cleanly to the new head. 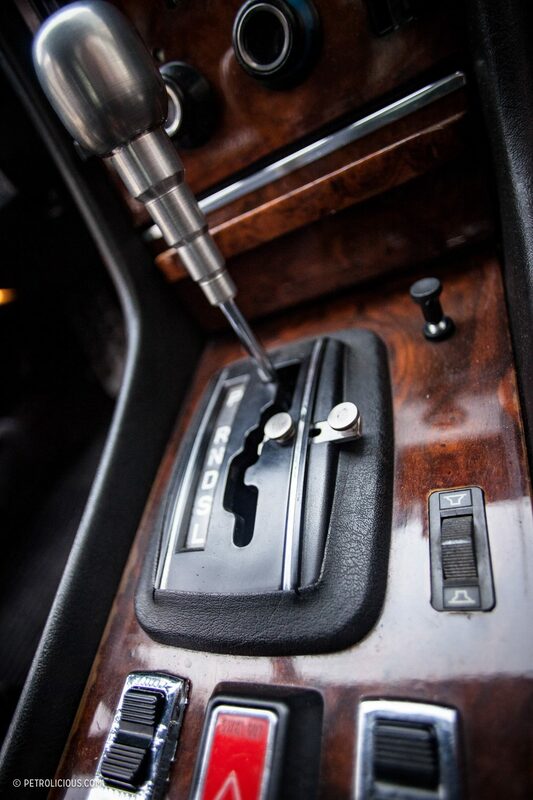 These differences increased the 284bhp it started with to around 320, with approximately 455Nm of torque. A random upgrade he came across by accident was a set of aluminum suspension wishbones that someone found while clearing out their new house. 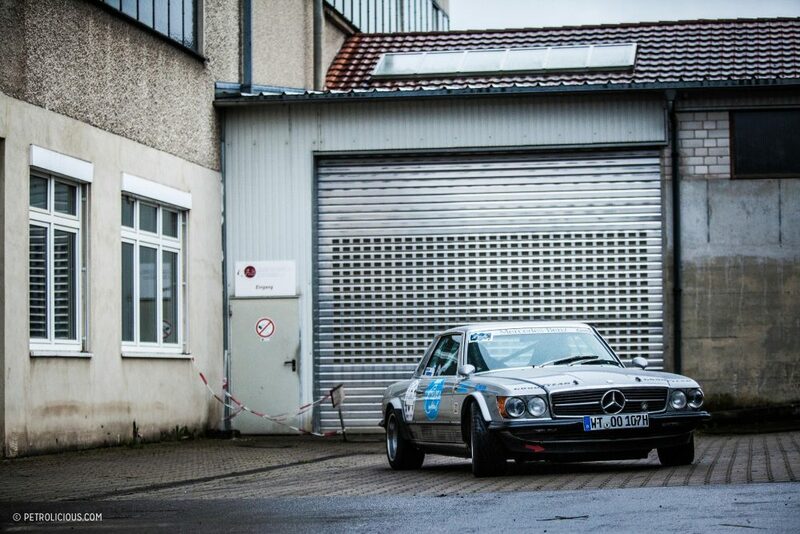 The guy had no idea if they were made bespoke by the person who owned house before him, but it was not a part anyone at Mercedes-Benz remembers making for the rally team. Thomas bought them, fitted them, and at 7kg of savings represented in each, they work just fine. 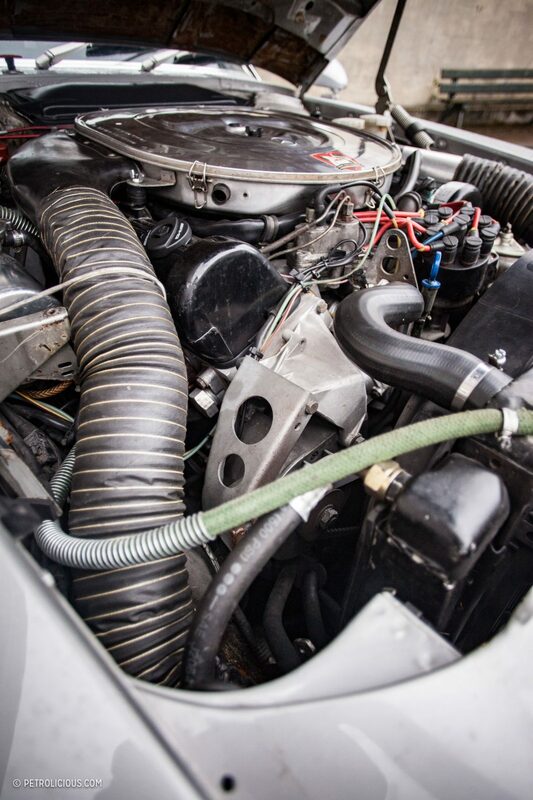 He also found a steering box with tighter ratios that was made for the 1977 Safari Rally but was never used and just kept in storage for 35 years instead. And from the same rally he found a pair of bumpers. Not something you would consider a particularly special part, but these were the last pair of prototype plastic ones made for the 1977 Safari Rally. 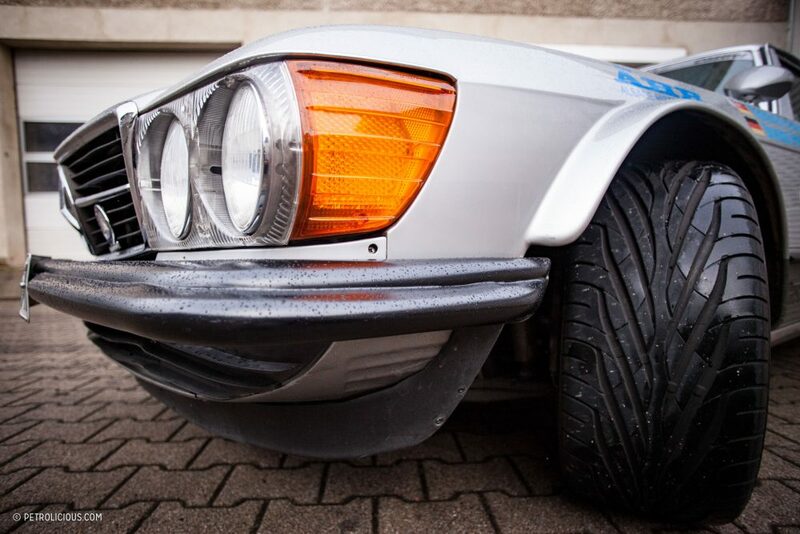 They weren’t used in the race itself, as they proved too weak for mounting the spotlights on and were something else that was kept in storage until Thomas talked to his friend Michael Bock, the director of the Mercedes-Benz Museum, and convinced him that they’d be put to good use. The originals weighed 16kg each. These weigh five. Altogether, the car is down from its rather portly 1675kg to a much more sprightly 1,435. Still, that’s a lot more than the works cars which were taken down to 1,220, but that involved prohibitively expensive things like an aluminum roll cage. The FIA Group 2 regulations also allow competitors to make changes with the air intakes, so to help the engine breathe a bit better Thomas bought another intake, turned it upside down, and fitted it on the other side of the filter housing. The intake openings are just behind the grill now, so clean air gets forced in, creating a slight increase in induction at higher speeds. With the long bonnet up it looks pretty cool to boot. 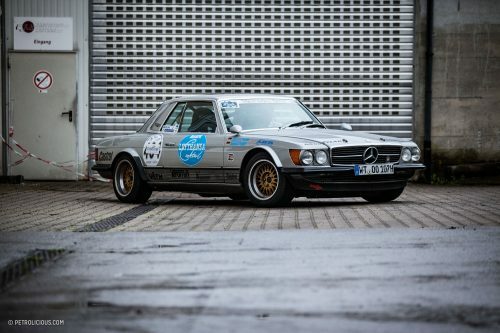 Suspension comes from KW, who make bespoke suspension set ups for some of the world’s top racing teams, so springs for a classic Group 2 Benz weren’t too much of a challenge for them. 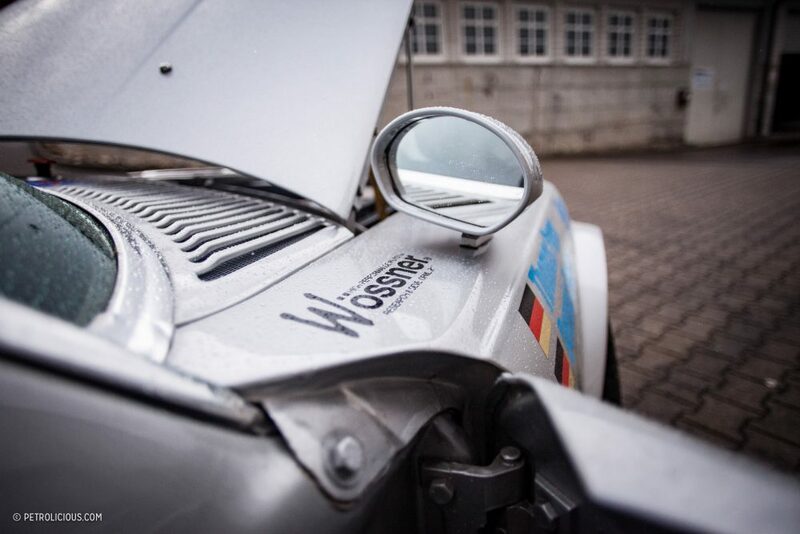 Once fitted, the car needed to be shaken down properly, and Roland Asch and Walter Röhrl happened to be in the workshop—when Walter asks to drive your car you don’t say no. The fuel tank had a hundred liters in it when he dropped it off with KW, and after about an hour of “testing,” Walter and Roland brought it back near empty. Walter said that it be much better to have 110kg springs instead of the 115kg ones that KW had fitted. “I don’t know how it would be possible to tell such a tiny difference but you don’t question someone as good as Walter!” Thomas smiled. Roland also said the brakes needed fixing as they squeaked a lot. In all the time Thomas has raced he’s only heard them squeak once or twice at the end of a run, and only when it’s been a particularly hot event. That’s how hard Roland and Walter must have been driving the car. On public roads no less! Another nice and unique modification are the rear wheels. Being an automatic car, he doesn’t really have much of a way to control wheelspin, so he used to leave long black strips off the start line, but wider wheels for the SLC just aren’t available… until he found a company that splits them apart and welds inserts in to make the wheels whatever width you what. Perfect. Now they are 330mm wide. But then he needed the tires to fit. He asked a few companies but nobody was interested in making a special set until Avon in the UK said they’d do it. He gave them the dimensions and they asked how many sets he wanted. He asked for one. Avon politely replied that the minimum run is a hundred. Thomas wrote back that that was absolutely fine. They could sell 99 sets themselves and he’d take the one he needed. They thought he was so crazy that they made the pair just for him. They give a lot of grip to his build now, and he’s subsequently bought a few more sets but I doubt it’s anywhere near 100! So what is the appeal of hillclimbs over other forms of motorsport for Thomas? Firstly he says that it’s a lot cheaper, as hammering over rough rally stages for three days or banging around a circuit with other cars everywhere multiplies the cost of repairs and replacement parts. “Hillclimbs are short, but you know the course so you get the adrenaline rush of being able to take every corner with absolute commitment, and at each race the whole class is separated by seconds, often just fractions of seconds, so good results depend on being millimeter-perfect all the way up the hill.” But he also likes the fact that after each blast up there is a long period of waiting at the top for all the others to arrive, so it’s a great socializing experience as well. 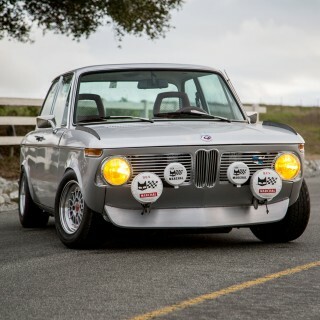 For the fans, seeing Group B replicas, being so close to cars that get so close to the edge, and seeing some unique and insane creations like this VW, this Ford, and this BMW are all reasons to go, but so is Thomas’ 500 SLC in my opinion. 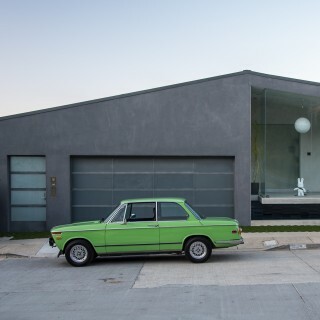 Very cool car and story. 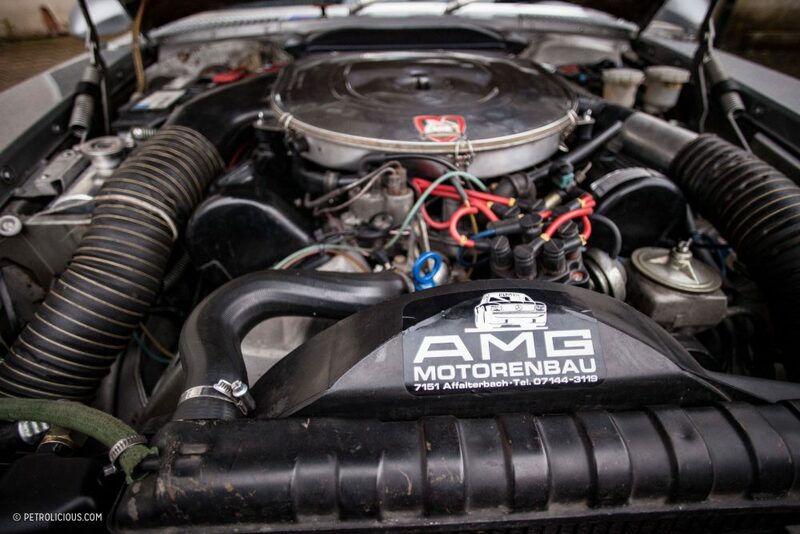 The hunt for the amg parts must not have been easy… a lot of people look for these but not many are successful for the pre merger parts.